Warfare and forms of combat have predated the very first signs of human civilization. The very first example of literature in human history, The Epic of Gilgamesh, illustrates combative wrestling between Gilgamesh and Enkidu. This Mesopotamian epic was written on cuneiform tablets around 2150 BC and is believed to be a collection of oral stories and poems that were passed down for centuries. The human experience has always had some form of hunting, fighting, killing, and warfare. Arguably, none is as pragmatic, violent, and has had the continuity to present day that China’s oldest martial art, Shuai Chiao, has. The first historical evidence of Shuai Chiao is found in the ancient Chinese literary works of The Narration of Unique Events in Ancient China. Similar to the epic of Gilgamesh, this literary work is presumed to be comprised of Chinese folklore that predated written history. This ancient text describes The Yellow Emperor, Huang Di, as instrumental in systemizing Shuai Chiao among his military during the time of his reign. Huang Di is recognized by historians as being the founder of the Chinese civilization. This continuity of Shuai Chiao from the present day to the dawn of Chinese civilization dates it to almost 5000 years old. 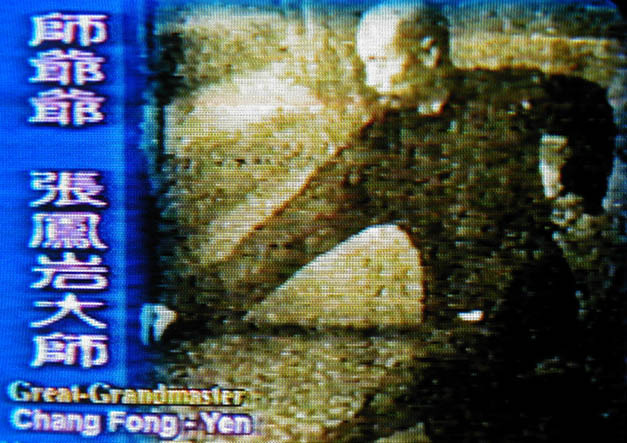 Derivatives of Shuai Chiao, and often exact copies of techniques, can be seen in almost any modern style of martial arts. Some of the most popular systems would include Japanese Jujitsu, Aikido, Judo, Sambo, and Brazilian Jujitsu. Nelson Wings, a Taiwanese scholar and Baoding Shuai Chiao family member, writes the following description on the history of Shuai Chiao. Shuai-Chiao, the Mount Everest of China's martial arts ranges, is a famous killing style paneratium in its sublimity of Kung fu package. This age-old technique strikes a combination of every telling trick in blows, kicks, locks and throws as what is known as Shuai, the throwing; Nah, grappling; Tien, fatal pointing and Tah, striking. However, Shuai-Chiao was not historicized until it was first used by Yellow Emperor (Huang-Ti, 2690 B.C.) to beat down his legendary archenemy, Chih-Yiu. The highly combatant art was called Chiao-Tih at the time. Down to the Cheu Dynasty (1134 B.C. ), the technique, then known as Chiao-Lih, was made an important course to train soldiers. As time went by, it became much more popularized around 264 B.C. Not only did Shuai-Chiao then exist as a major game in both civilian and military activities, but also was it ascertained as a regular monarch entertainment. In about 140 B.C., Shuai-Chiao came to a new peak. Emperor Wu of the Han Dynasty was so crazy about the art that he proclaimed it the permanent royal recreation. During his reign, he inspired such a heat that people of all walks swarmed to watch the Shuai-Chiao tournaments from a circuit of 500 miles. At the time, Chiao-Tih was its given name. From generation after generation, this monarchial technique was passed down. Thus it came to the Shuoi Dynasty (610 A.D.). In the sixth year of Emperor Young's ruling, a nation wide contest was held on Tuan-Mon Street. The event lasted for 30 days and the Emperor himself, in plain clothes, was a ringside frequenter. So the tradition was set for the yearly tournament. There was a national meet held on each 15th day of the first Calendar month. More and more, this conventional art rooted into the life of the ancient Chinese. Nevertheless, as politics always have some say in regards to the sports, Emperor Kao-Tsu of Tang Dynasty (618 A.D.), who must have preferred seeing Shuai-Chiao games in warmer days, ordered them to hold the yearly tournaments on each 15th day of the 17th Calendar month. Shuai-Chiao, having been taken as a top-drawer martial art, was a privilege course for monarchial training for some 300 years (618-907 A.D.). As a result, there turned out many supreme rulers who were expert throwers as well. During the time of Kubla Khan (1216 A.D.), this technique was boosted to another high. Various names were given to it as Poh-Ho, Tsong-Chiao or Hsiang-Puh, the last of which has ever since been used by Japanese till now for there Sumo wrestling. Arriving at the end of the Ming Dynasty (1644 A.D.), while the Manchurian invaders were overwhelming, a Chekiang native called Cheng Woon-Pin, 52, good at pugilism and little Shuai-Chiao, was sent to Japan to aid, together with his comrades, Chu Shum-Shuei and Lee Mei-Shi. Stricken by result less efforts and growing political pressure, they could go nowhere but stay at a Buddhist Temple, therein they taught 3 Samurai students namely, Fukunoshiehile-Wuemon, Mirulayosi Wuemen, and Isomizile Saemon, the Shuai-Chiao techniques, which later on were developed into Judo. In Ching Dynasty (1644 A.D.), this fantastic art became to listed of the monarch activities. The new rulers set up a "Good-Wrestlers' Camp" (Shan-Pah Ying), packing about 300 tiger team Shuai-Chiao experts, all-time ready for royal entertainments, foreign challenges, national tournaments and majestic reviews. Tribal teams from Mongolians, Uigurs, Tibetan champions and other combative districts were more than often sent to challenge the Camp. After this Republic was established in 1911, Shuai-Chiao was spread wide in the south. A Governor Ma-Liang of Shantung province organized a Martial arts' Battalian and deemed Shuai-Chaio as the name of this traditional technique in his training curriculums. Further in the 1928, a General Chang-Chih-Chiang set up a Central-Kung fu (Kuo-Shu) Institute in Nanking and Shuai-Chiao was a required course for students, selected from each local province for advanced training. Thus the name Shuai-Chiao has been known till now. Shuai-Chiao, a sublime combination of all fighting techniques, is a super science of mechanics. It carries out time, speed, force and angle to its highest gear, applying free use of blow kicks, catches, and locks by the conveyance of throwing. For modern-day exercise convince, current practitioners lower the killing levels and separated a complete Kung fu into Judo, Aikido, Fatal Point Striking and Karate. Actually, all of the above four summed up make basic parcel of Shuai-Chiao. As Shuai-Chiao comprehends techniques of both offensives and defensives, it focuses applications of all parts of human body in properly managing them to operates the strength by saving, borrowing, and returning the enemy's power so as to effectively beat down the rival. From all of the techniques devised by earlier practitioners, came all of the latter day styles as in Hsing Yi, Pa Qua, Lo Han and Tai Chi Chen. Shuai-Chiao was the most deadly form of martial arts ever devised. The Father of modern day Shuai-Chiao was Grand Master Dung Sheng Chang. 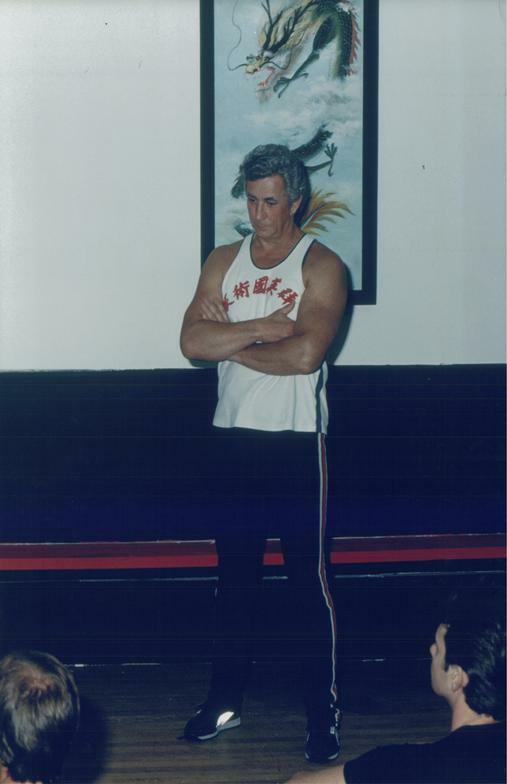 Upon his untimely death in 1986, the command passed to Master Gene L. Chicoine, 9th Degree Black Belt and 13th son to the, his late teacher and First Vice President of the International Shuai-Chiao Association, and now its President and highest ranked in the world in Shuai-Chiao. Master Chicoine is probably the last head of style to be tested by combat and not sport.